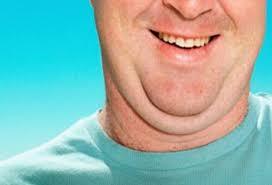 Neck fat can accumulate in the jowls or right under the chin. Learning how to get rid of neck fat is not all about doing some neck exercises. Certain exercises may certainly help, but you can get good results only when you lower your overall body fat percentage. What it means is that spot reduction is not possible, so you have to lose overall weight and then try some neck exercises to get rid of neck fat. Let's find out more about it. You need to combine exercises that help you lose overall body weight and strengthen your neck muscles at the same time. Eating clean is equally as important. Here are some tips to get good results. The idea is to burn some fat to lower your overall body fat percentage. Cardio exercises prove quite effective in this regard. To get good results, you should perform exercises properly. For this, you can download cardio exercise manuals from the internet. Be sure to change the exercises after a few cardio sessions to continue getting good results. In terms of how to get rid of neck fat, doing cardio will certainly help burn fat, but you should also try some neck exercises to get better results. Neck tilts strengthen your neck muscles and tone them at the same time. 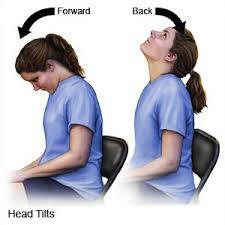 All you have to do is move your neck from one side to the other and then move it downwards and upwards. It is also important to move your neck front and back. Ensure that your diet includes plenty of fresh fruits and veggies. Eating fruits and veggies provides you with important nutrients without loading up on calories. You can enjoy veggies steamed or grilled. Eat fruit to satisfy your sweet tooth. Fruits provide you with fiber that keeps you full for long and keeps hunger pangs at bay. The idea is to prevent dehydration because it can make your body retain water in your system that gives you a bloated look. 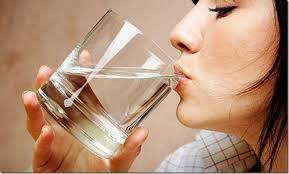 Be sure to drink 8-10 glasses of water daily. It is a good idea to drink a couple of glasses of water soon after waking up in the morning to feel fresh and energized. You just cannot lose weight by spending hours upon hours in the gym if you continue to take more calories than you burn. If you cut your caloric intake by 500 calories a day, you will end up losing a pound every week. Just ensure that cutting too many calories too quickly is not going to prove beneficial. In fact, it may lead to nutrition deficiencies and affect your overall health. To learn how to get rid of neck fat, you need to understand the importance of increasing your protein intake. Protein helps you gain lean muscle that will make you look slimmer. Lean protein also helps keep you full for a long time and keeps you from overeating. 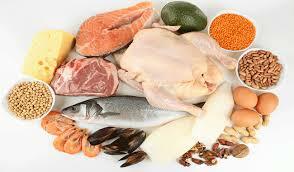 You can get protein from seafood, low-fat dairy, eggs, poultry, lean beef, tofu, and legumes. Just like protein, you need carbs to stay healthy, but you should avoid bad carbs. Opt for whole grains because they provide you with more fiber. You can choose 100% whole wheat bread, 100% whole wheat pasta, whole grain oats, brown rice, barley, or quinoa. It is better to avoid refined carbs because they do not offer nutritional benefits. You need fiber because it slows down your digestion and ensures that you do not feel hungry for a long time. Suppressing your appetite is always a good way of limiting your caloric intake and losing weight in a healthy way. When it comes to how to get rid of neck fat, it is important to limit your caloric intake to promote fat loss, but you also need to try some exercises that target the muscles around your neck. Toning these muscles can make your neck look slimmer. Here are some simple exercises that will help prevent any sagging skin in the neck region and make the fat in this area less visible. Stand in a comfortable position and then move your neck upward. Keep your eyes fixed to the roof. Keep your mouth closed. Slowly tilt your neck back and then move your mouth as if you are chewing something. Continue the movement for 30 seconds and then return to your starting position. Do it twice. Stand up in a comfortable position. Widen your lips while keeping your mouth closed. Now, slowly tilt your neck back and maintain this position for 30 seconds. Return to your starting position and repeat 3 times. Sit in an upright position – you can also perform the exercise while standing. Tilt your head back and then move your lips as if you are kissing something. Maintain this position for five seconds and then return to the starting position. Take a break for a few seconds and then repeat again. Do it 15 times. Stand up straight and open your mouth wide. You should go as wide as you can and then use your bottom lip to cover your bottom teeth. Stay in this position and then expand your lower jaw for 12 times. Can You Use Pineapple for Weight Loss?